We have our first sellout! 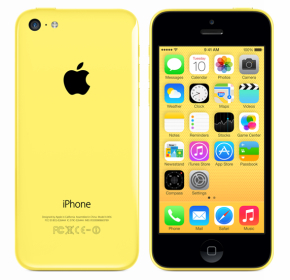 Following pre-orders going live today for Apple’s new iPhone 5c, shipping times for the yellow, unlocked model of the device have just slipped from the expected delivery date of September 20 to “available to ship by 9/25.” That’s only for the 16GB model of the device, as all other colors and models are currently still listed as arriving by the previously announced Sept. 20 release date. The device is also currently listed as shipping in 1-2 weeks on Apple’s Hong Kong website and in Canada all models and colors of the iPhone 5c are shipping between Sept. 20 and Sept. 24. Apple is currently accepting preorders for the new iPhone 5c in the US, UK, Hong Kong, Australia, Canada, China, France, Germany, and Singapore, and previously announced that the device would begin shipping alongside the new iPhone 5s later this month on September 20. Apple is still listing a delivery date of Sept. 20 in all other launch countries for the iPhone 5c, but we’ll keep you updated if shipping times slip in other countries. 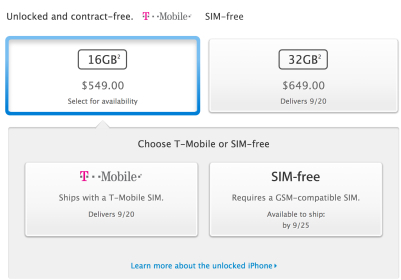 Other than Apple, a number of its carrier and retail partners are also accepting for preorders for the iPhone 5c starting today, but Apple isn’t making preorders available for the iPhone 5s before its release.